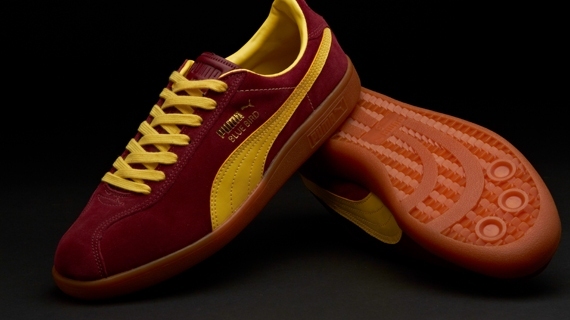 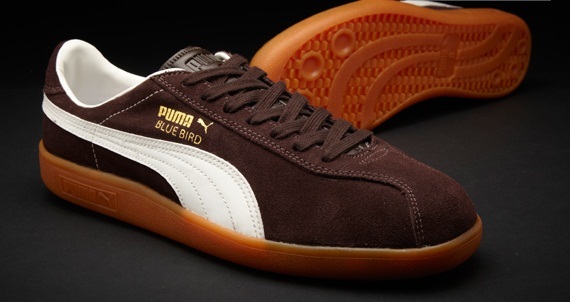 Originally released in 1982, the Puma Bluebird is the latest reissue from the impressively extensive Puma Archive. 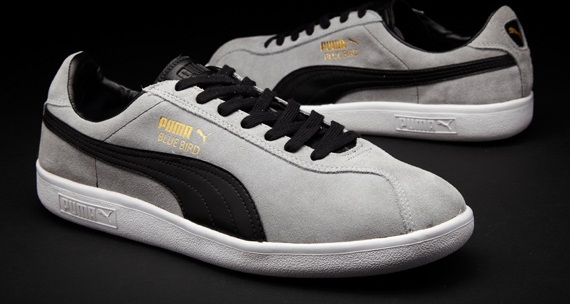 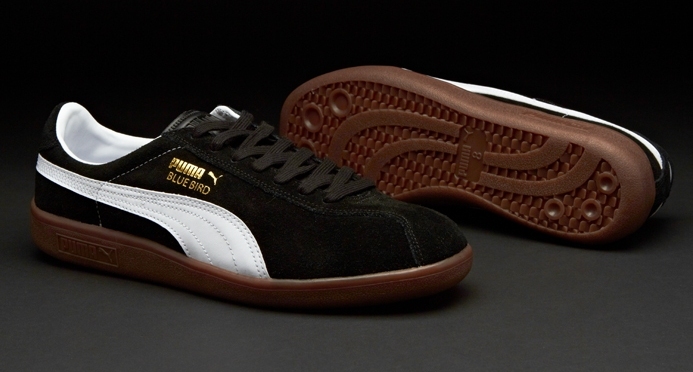 From it's conception, the Puma Bluebird's intention was to be a modern, lightweight running shoe. However the shoe and it's distinctive colourway were quickly adopted into the footballing culture of the 80's especially that of Cardiff City FC, nicknamed, The Bluebird. 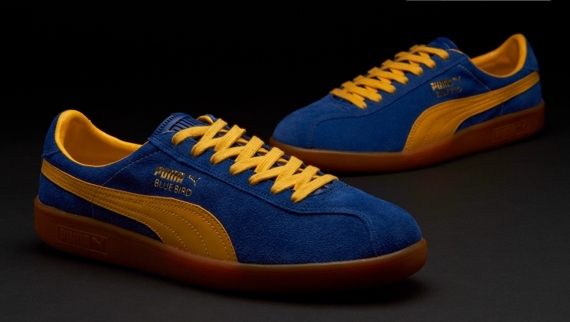 The Two Bluebird trainers are inspired by the home and away colours of Cardiff City FC and feature a suede upper, pvc sole, contrast yellow lining, laces and side detailing.